3 years & up. 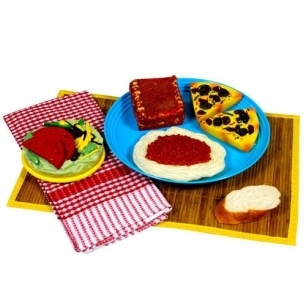 Introduce children to different types of food from around the world with these food sets. All made of durable, safe vinyl. Placemats, plates, and napkins are not included.